Nature is such an inspiration for so many of us. We see things every day that simply amaze, from the tallest of trees, to the deepest parts of the ocean. Technology has opened our eyes to so many things that we simply would have had no access to in years bygone. 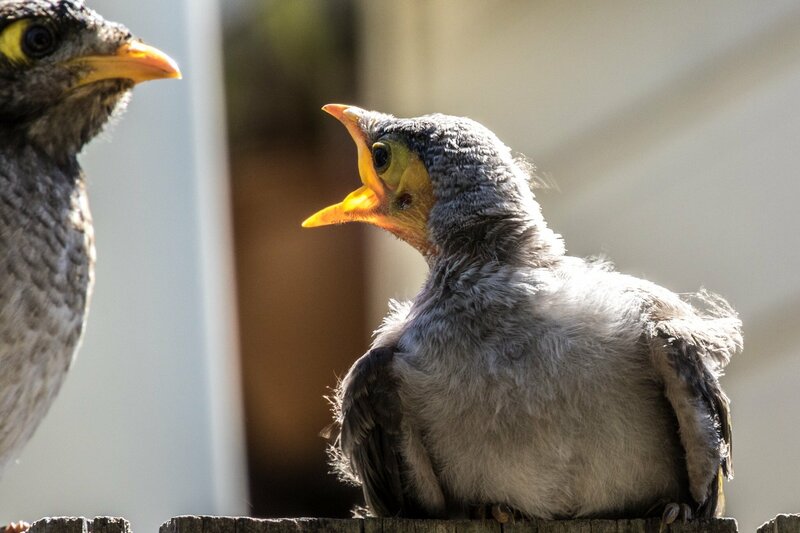 Sometimes nature happens just outside the window…..
My breakfast was disturbed by a ruckus going on outside the window. 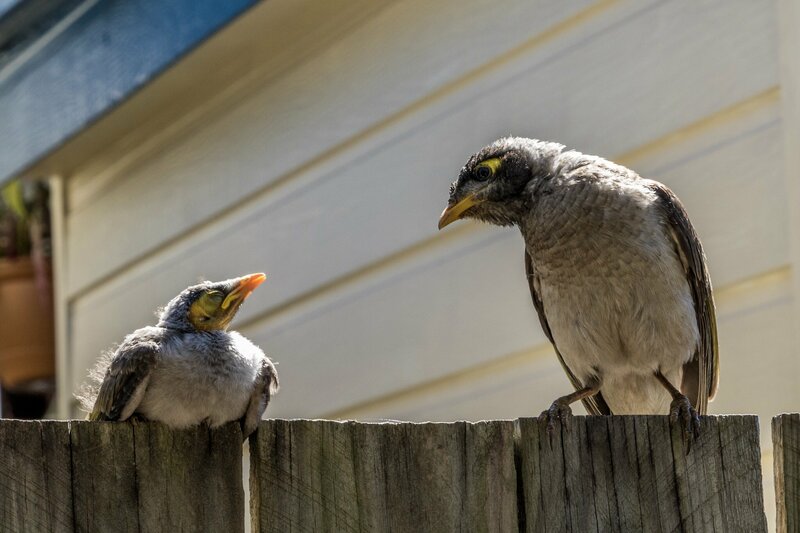 Looking out, I could see this little Noisy Miner sitting on the top of the fence with both it’s parents going crazy. Grabbing the camera I set myself up in the shadow of the door to see what photos I could get. Although they knew I was there, they paid me no mind as they came and went with tidbits of food to satisfy his seemingly bottomless hunger. Eventually he fluttere d down and landed on a plank that I had set up as a makeshift workbench the day before. 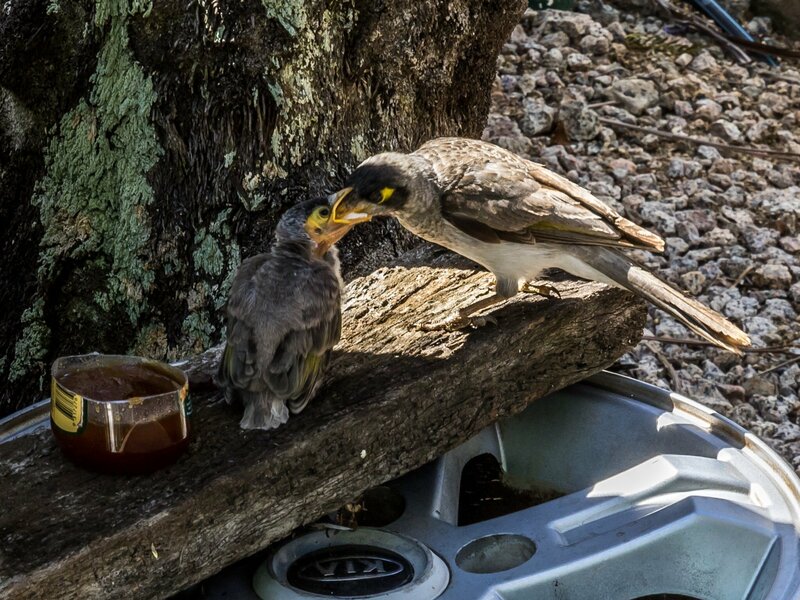 Knowing that these birds are some type of honey eater I got some old honey, that had crystallised in the cupboard and set it down on the bench, thinking that I might save them some effort. In the event, it seemed that some bread they had sourced elsewhere was more inviting and they spurned my offering. They stayed most of the day but by next morning, had found a new place to be and I never saw them again. I wonder what may have happened to them. 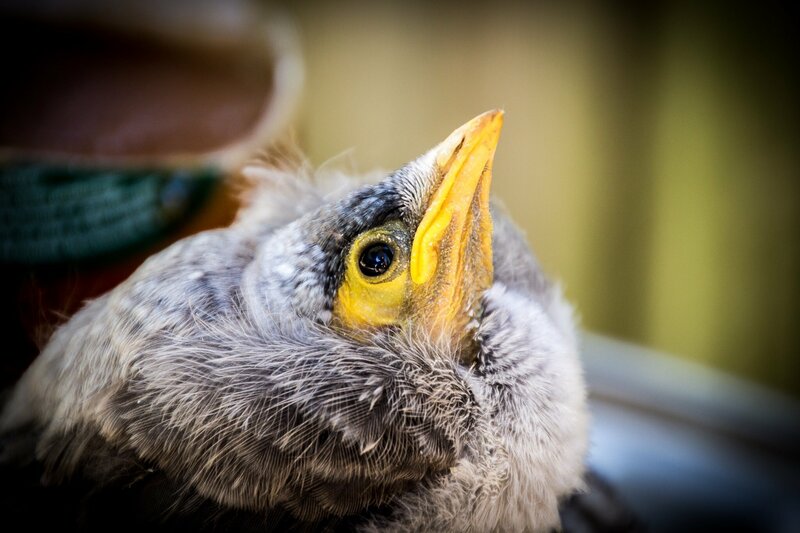 He seemed to be way short of feathers to be out of the nest. I was impressed by the way the parents looked after him. There was always one or the other keep a watch while the other was away looking for food.